If you steer your way to Deep Run Roadhouse, you’ll find that the fried, bone-in, pork chop sandwich arrives as boneless pork on a bun. The razzle-dazzle of the missing bone is beside it on the plate, fried up and crispy for gnawing pleasure. 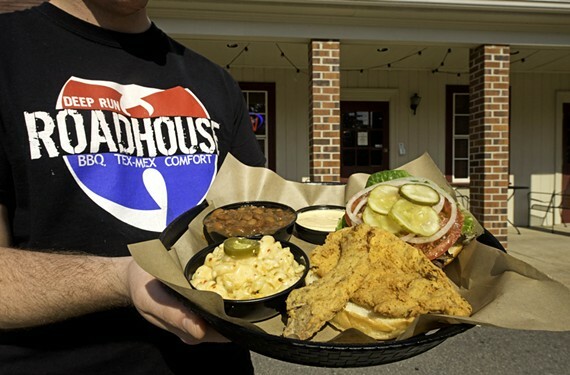 12379 Gayton Road, 740-6301, deeprunroadhouse.com.